They are ranked as the world’s best team and when you look at their ridiculous squad of players you can see why. They really are a force to be reckoned with at next year’s European Championship in France. Now adidas complete their set of kits for the competition with an away-shirt, which draws inspiration from the world of cycling. Find out how that all hangs together here. Adidas stuck to the classics on the home kit, but they have definitely gone a little wild with the away-shirt, which we think is the best way to go about it too. 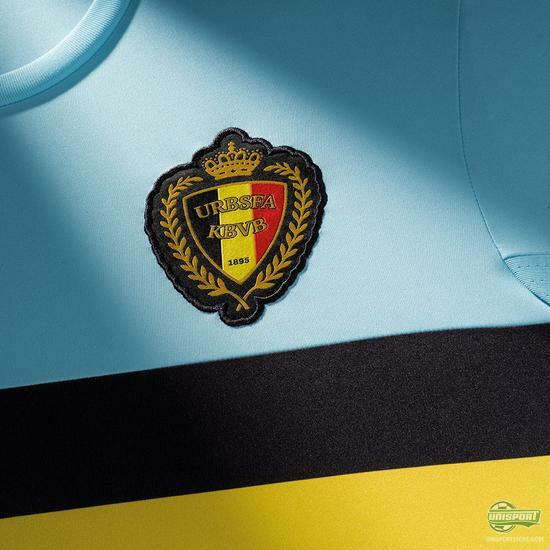 The away-shirts design is based on famous Belgian cycling jerseys, which feature the bold and very sharp cyan colour. In the world of cycling the shirt design has been worn by numerous Champions and now adidas hope the new 2016/17 Belgium away-shirt will be worn by some in the world of football too. 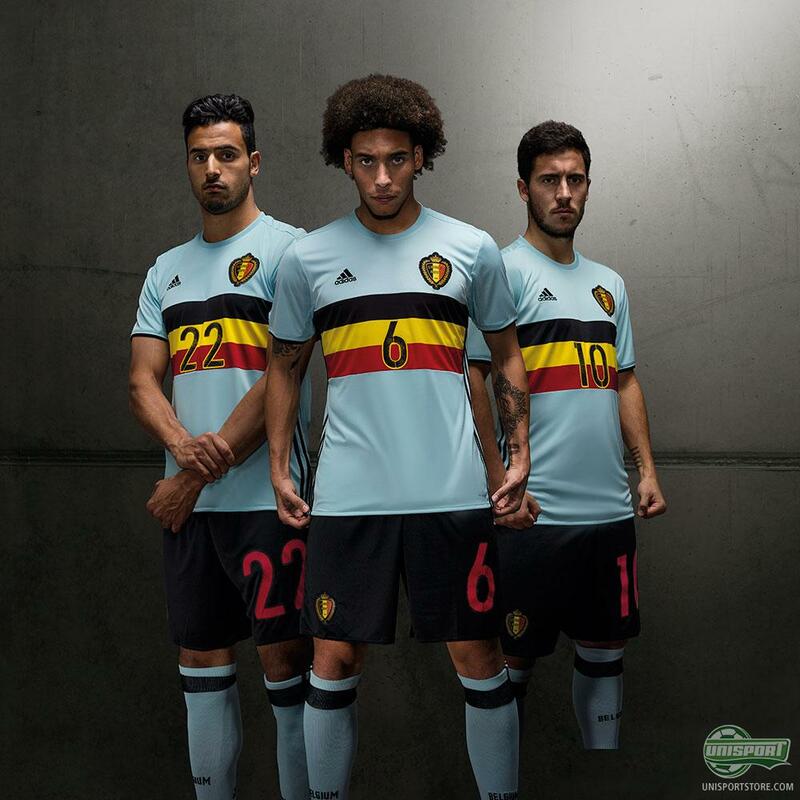 You can pre-order the new Belgium football kit right here. I like that adidas have chosen to go a little bonkers with the colour, which still actually has a story behind it. 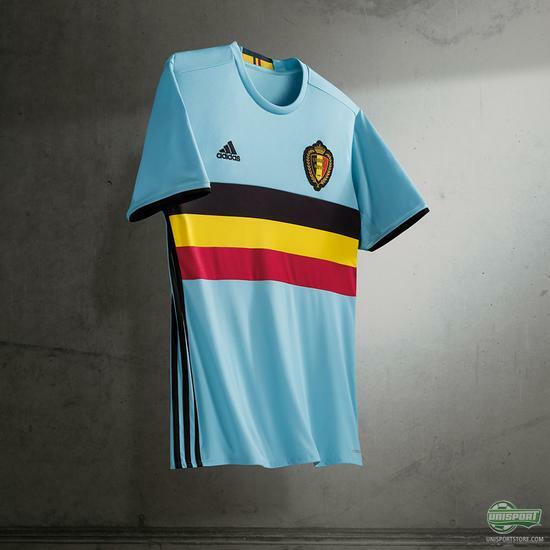 Apart from the dominant cyan blue main colour, adidas have gone for a very simple design, with a comfortable crewneck and the same way adidas stripes we see running down the sides of all the new Euro 2016 shirts. A perfect mixture of modern boldness and tradition features. What do you make of Vincent Kompany, Christian Benteke and the rest of the superstars chances next year? And which of their new shirts do you prefer - the traditional home-shirt, or the wilder away-kit?